The Aqua Shells & Seagrass Shower Curtain brings coastal style to your bathroom with shells, sand dollars and seagrass in cool, relaxing shades of white, sea green and aqua. This beach shower curtain ships from the manufacturer. Allow 1 week. Cannot express ship. 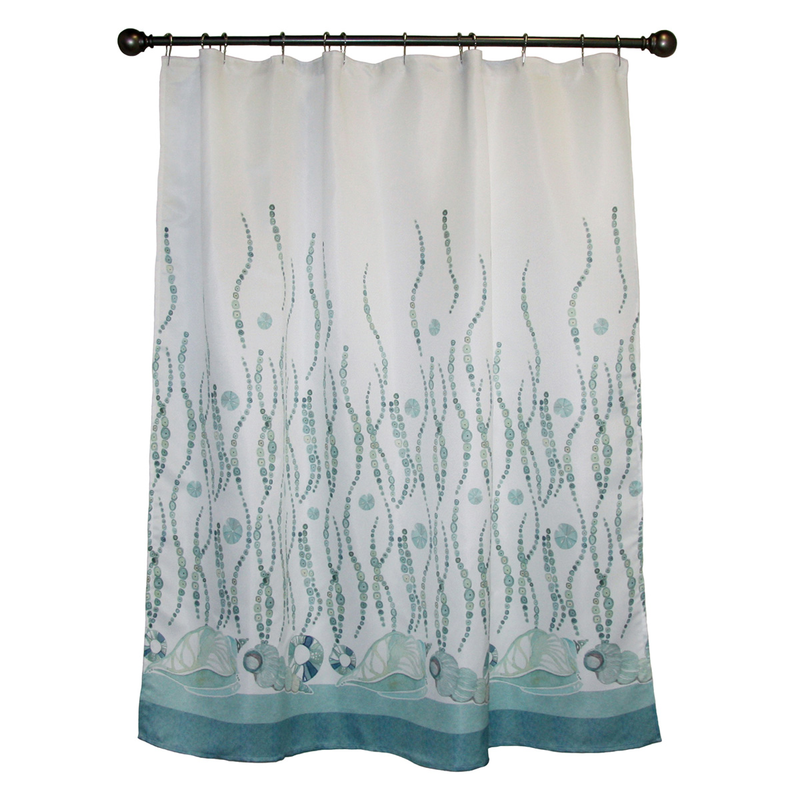 For additional options, we invite you to take the occasion to view our thorough collection of beach shower curtains at Bella Coastal Decor now.